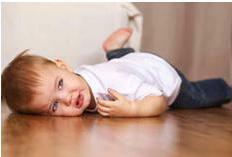 Learn how to respond to toddler tantrums, defiant children and aggressive behavior in kids of all ages. Whether you are responding to toddlers or children with ADHD symptoms, the following steps should help to de-escalate the situation. There may still be times you will need to ignore and walk away from your child. Do not engage in an argument, but simply say, “I love you too much to argue.” Then walk away. 1. Say your child’s name. It helps to orient them to the situation. 3. Say you are sorry they can’t have/do what they are requesting and that you wish you could give it to him/her. 4. Try your best to state a valid reason why you don’t want them to have/do what they are requesting. Saying things like “Because I said so.” may cause your child to think that you are just trying to be mean, even though this is not the case. It can also cause them to escalate into toddler tantrums. If you don’t have a valid reason then you may need to really think about why you are saying no. 5. Tell them again what they can have. Example: “Christian, it looks like you are really angry that you can’t have a piece of candy right now. I’m sorry, I wish I could give it to you, but we are going to be eating dinner in 15 minutes and I don’t want to spoil your appetite. You can have a couple of pieces of cheese while you are waiting for dinner.” Proceed to ignore toddler behavior while getting the cheese and putting it in front of him/her. Then walk away. •	Always use a calm and gentle tone of voice. Some parents think that by sounding harsh and firm they will be more authoritative and get better compliance. However, this can often cause a mirrored response from a child resulting in harsh behavior and more severe tantrums from them in return. Think about a situation in which you were unable to get something you wanted. You ask why and she says loudly, “Because I said so.” A typical person’s response to this would probably be, raising your voice to match hers while angrily saying “I want to speak to the manager.” A typical response for a person with anger management issues may also include some profanity and additional angry words towards her similar to toddler tantrums. • Consider Implementing time outs for toddlers - This may look different depending on their ability to understand, but sometimes a brief time away from a situation using a timer, can help them to calm down. 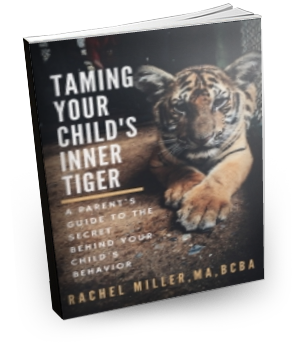 In addition to my free ebook, you will find other great pages relevant for toddler behavior with ideas for dealing with toddler tantrums, including how to say no without a child tantrum or child aggression and tips for dealing with defiant children.